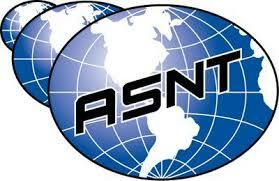 Rope access is a tested method of work which is recognized globally for its safety and effectiveness. Rope access is utilized across many industries- oil and gas, power generation, entertainment rigging, and construction. 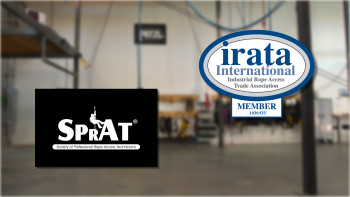 We offer training to all three IRATA and SPRAT levels. Certification is attained by passing a written and practical evaluation by an IRATA Assessor and SPRAT evaluator who is independent of our training company. This course includes fall arrest user and inspection training, and also provides self rescue and assisted rescue training. 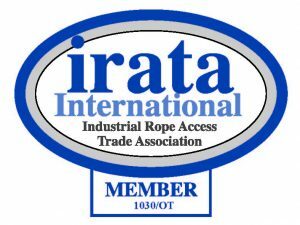 The Industrial Rope Access Trade Association (IRATA) and the Society of Professional Rope Access Technicians (SPRAT) are internationally recognized standards for rope access work. Certification is attained by completing a 4-day course, then passing a written test and practical evaluation administered by an independent IRATA Assessor/ SPRAT Evaluator on day 5 or 6. The practical assessment is pass/ fail. We will spend much of our time climbing and practicing techniques on rope. We will also cover theoretical material and equipment specifications. Some coursework needs to be completed in the evenings, requiring 1-2 additional hours per day. RIG instructors are experienced rope access and rescue professionals who are dedicated to the highest standards of safety. Our company performs incredibly challenging projects at height, in a variety of industries. 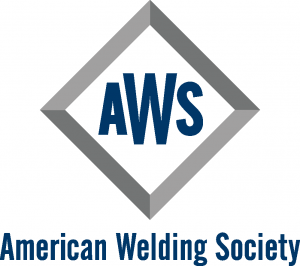 We train to be able to meet the demands of the most rigorous work conditions and environments. Candidates must be suitable for rope access work, which requires a good level of fitness, a head for heights and an aptitude for ropes and related systems. Medical contraindications include, but are not limited to: heart disease, high blood pressure, epilepsy, blackouts, fear of heights, vertigo, impaired limb function, alcohol or drug abuse, psychiatric illness, and diabetes. A medical evaluation by a doctor is recommended prior to the start of the course. The systems and equipment used limit user weight to 310 lbs. 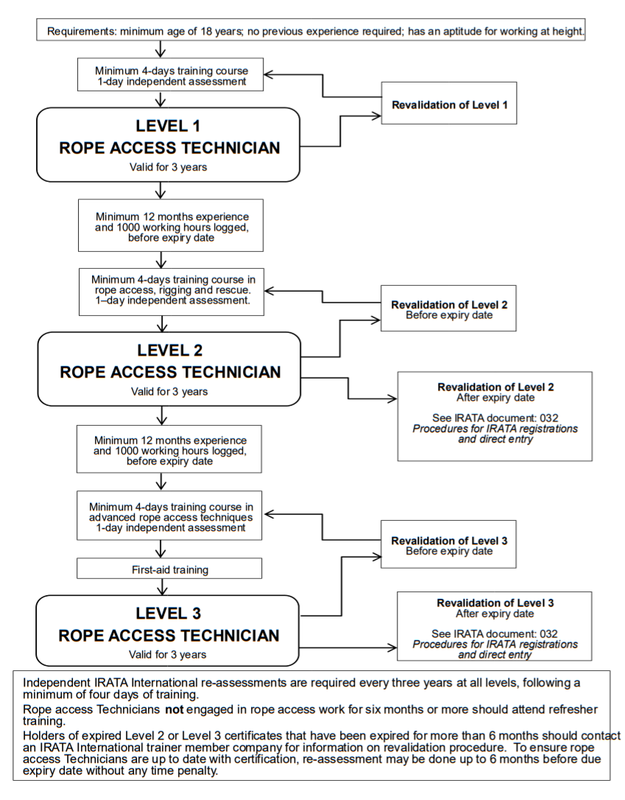 Sign a liability release form and statement of physical and mental fitness to perform rope access work. Candidates who are renewing at their current level must bring their logbooks. Candidates upgrading to L2 or L3 must present logbooks documenting the required experience at their current level. 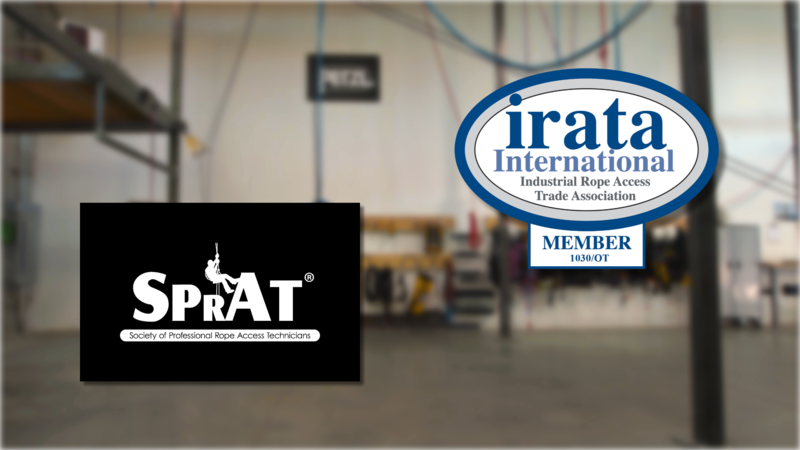 IRATA up-grade requirements are shown in the flowchart below, SPRAT upgrade requirements can be found in the SPRAT Certification Requirements. Pants or shorts that come down to the knee. Short or long sleeve shirts are fine; a collar can keep the straps from chaffing the neck. 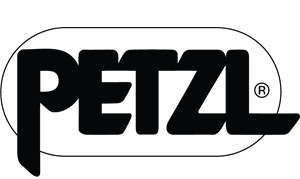 Lightweight shoes or boots. Socks that cover the shin. Gloves are not required but a thin pair may be useful. A bandana or buff may also be comfortable inside the helmet. 14-day or more notice will be charged a $100 fee. Between 7 and 14-day notice will be charged 50% of the course cost. Less than 7-day notice or once course has begun will be charged the full cost. Use coupon code DISCOUNT at checkout.